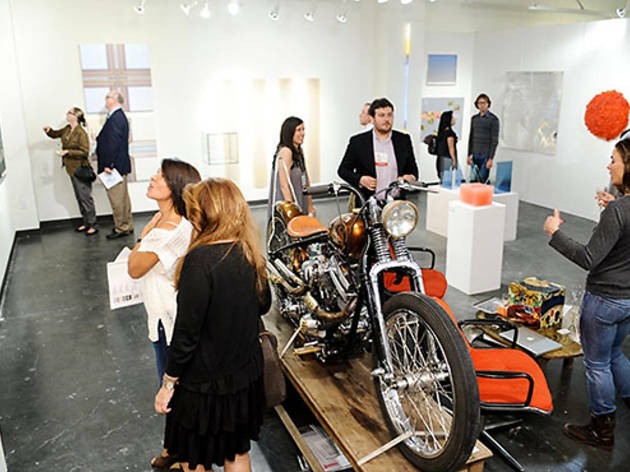 Only in its second year, yet one of SoCal's most important art fairs, Art Platform focuses on modern and contemporary works from established and emerging artists. 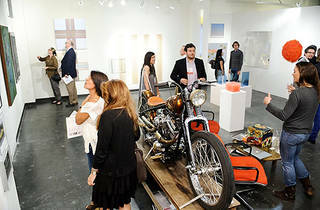 Local and international artists, dealers, collectors, museums and art institutions are represented. The people-watching—and schmoozing—is at a premium during the opening night preview and VIP programs (see website for details). But there's plenty of artworld elbow-rubbing to be had at the speakers series and special programming events. Art Platform's setting, at the historic Barker Hangar at the Santa Monica Airport, only enhances this airy and exciting annual affair.